Myroslav Opyr, CTO at Quintagroup, talks about the history of the company, development of Prozorro and global prospects of Ukrainian procurement systems. How and when the story of Quintagroup began? It all began in 1992 when three out of four co-founders met. It was when these three students started studying at Lviv Physics and Mathematics Lyceum. We were 14 years old and we became classmates and friends. Of all three, I guess I was the most obsessed with programming — I would spend all of my free time at the computer. (Smiles) My then fellow students are now top managers of big companies, for example, Eleks, Rebbix, GlobalLogic, and Intellias. We have worked together on joint projects at the Lyceum, and then together continued our education at Ivan Franko National University, at the faculties of Applied Mathematics and Mechanics and Mathematics. While studying at the university, I started to work at SoftServe. I got there in 1994 and was, by the way, among the company’s first employees. After 1997 I started working for myself and until 1999 I was engaged in outsourcing. In 2000, I graduated from the university. And then the economic crisis began. In 1999, I already owned a small company. We worked together with my university groupmates. It wasn’t officially registered, but we worked together, as a team. Now one of the employees of that small company is the owner of PLVision. In 2000, my colleague introduced me to a group of Germans who were recruiting a team of programmers for their office in Lviv. In fact, I invited all of my friends good at programming to the interview — and the team was formed. Then I went to Germany for an internship. Since 1998 I had worked with Americans and developing open-source software. The German company closed down in 2001 because of the crisis. There was an amazing office in Lviv, excellent equipment, and a great team, but everything collapsed at one point. In 2002, we gathered together again (but with our new colleague, who later became the fourth co-founder of Quintagroup) and started to do joint projects in IT. One of our first projects was a website for the former city mayor of Lviv — Liubomyr Buniak (buniak.lviv.ua). Then, we launched the website of “Lviv newspaper”. We developed it in two weeks, and it became one of the first media websites in Lviv. In 2003, we officially registered the company and since then have been working as Quintagroup. You may wonder about the name: why there are four co-founders if the name is about five? (Smiles) We invited the fifth one to join the team, but he refused. Then we changed the approach, and the fifth one is our client. Lviv Physics and Mathematics Lyceum looks special again. It seems like most of the leaders of local IT companies studied there. I will explain why it seems like this. The graduates of the Physics and Mathematics Lyceum of 1993-1996 were the first ones to finish this educational institution. At the time when the “Soviet school” still existed, Lviv Physics and Mathematics Lyceum was one of the few “islands of freedom”. The first Lyceum principal — Pavlo Hobzey, gathered the best teachers there. Moreover, most of them didn’t have experience in schools of that time. Those were scholars and university professors who were truly passionate about science. The Lyceum had a high level of teaching English, innovative experiments were conducted there. Therefore, the teachers also worked really hard (especially in the first years), and for students, it was a chance to break away from the Soviet Union. Back then, it was an experimental school and everything was “different” in comparison to other average schools. Most graduates of the Lyceum continued their education at Ivan Franko National University of Lviv and formed so-called control groups there. These were groups of people interested in economics, physics, applied mathematics, and even chemistry. You could feel a thirst for knowledge in these groups. Rather than giving knowledge, universities provided an environment where students could share information and implement ideas. Then they went to build their career at IT companies, which were formed and launched in the mid-90s — first of all, I mean SoftServe and Eleks. School olympiads played an important role as well since we’ve all met each other at various competitions. It was there that the environment of the most active students was formed. At the Lyceum, we had been working on projects, and everyone was responsible for their part. Already later at our companies, we used useful and practical knowledge gained when studying at the Lyceum. You are the CTO of the company. Who are the other co-founders? And why they? It’s an interesting story. (Smiles) For three years, I’d been sharing my desk at the Lyceum with Ihor Berehuliak, who’s now our CMO and is engaged in the external positioning of the company. In the end of the 90s, he worked for a Canadian company with an office in Ukraine. Internet promotion was one of Ihor’s core responsibilities there and, in fact, he continues to do this at Quintagroup. He also specializes in HR and took on responsibility for the HR management and internal processes at the company. My other friend — Volodymyr Cherepanyak, who is now the CEO, was also my classmate at school. (Smiles) The fourth co-founder is Volodymyr Rudnytskyi, with whom we met at the German company. He is the Creative Director of Quintagroup and is responsible for the visual positioning of the company and our products. In fact, the company’s story begins in 2002. Can you identify the main stages of the company’s development over these 15 years? It’s been 15 years since we implemented our first project. We have officially registered the company and for two years we tried to build our organization. For me, it was a full-time job, for other co-founders — part-time. The second stage began in 2005. We decided to open an office. The company’s active growth and development began. Basically, everything before that was a certain incubation period, the searching time. In 2005, we found our first foreign clients. The company was growing, the office was growing too. At first, we didn’t notice the crisis of 2008-2009, but in 2010 it struck us too. As a result, we suspended our growth and in 2010-2014 we existed “by inertia” with 15 employees at the company. Then the revolution began and it had a radical impact on us. Things that were going on there, obviously, mentally diverted us from work. Some of my colleagues went to Maidan, some were volunteering. Everything in my head was mixed up. But there was a lot of energy and I had a feeling that I must fulfill my personal civic duty. Was it when your story with Prozorro began? In fact, yes. On September 5, 2014, “the founding father” of Prozorro Oleksandr Starodubtsev organized the extended meeting of stakeholders to finally start actively working on the organization of public procurement process. Georgians were also involved in the process — David Kiziria spoke at the event. But at some point, I got the feeling that the participants of the meeting didn’t understand what he was trying to explain. I also took the floor and, given our many years of experience, tried to explain the essence of open-source software. After the meeting, we parted but agreed on the next steps. From September 6 to September 26, we worked remotely on the technical task. I haven’t seen anything like this before! A hundred of people in different group chats and newsletters wrote 10-15 messages per day with ideas, possible options, and opportunities. In short, we made a huge “brainstorming” that lasted for two weeks. We met again on September 26. I and representatives of another Kyiv-based outsourcing company came up with a proposal to develop the system. My offer was that Quintagroup would be able to launch a pilot version of the system for 35,000$ by the end of the year, while another company estimated costs at 500,000$. We understood that in both cases we will have quite different strategies for raising funds: to get 35k, you can even chip in together, and to get 500k — you need to attract a lot of investments. No one would be willing to pull out such a large amount from their pockets. We started developing the system on a voluntary basis, but it was clear that sooner or later we would need money to achieve a good result. Luckily, then a company, called Prom.ua, decided to give us a chance and agreed to support the project financially. They agreed to give a certain amount of money in advance so that we could win time and try to find other sources of finance. The others hadn’t even agreed on how they would get the money, but they simply agreed to do it. I’m talking about seven organizations, who would “donate” $5000 each. In the second half of November, we persuaded Transparency International to support the case. At that time, a significant part of the prototype system was already developed. In early December, we received the first funds and returned the guarantee fee to Prom.ua. Our relations were friendly and productive. At the end of December, we already had a finished software core. On January 20, the system was tested, on February 4, the first tender was launched and announced, and on February 12, the press conference which announced the launch of the pilot Prozorro in Ukraine took place. The first savings indicators were presented to the president. And although public procurement was not on the National Reform Council list, it was urgently added, and in March the president signed a document that all central government bodies are to use this system. Our company continued working on the software, involving employees in the development of MVP. We received those 35 thousand, but it was difficult to plan further financing of the development. The investors were losing money, because, besides this 35k, they invested other funds. At that time, the system wasn’t bringing any profit. Everything was just starting and we had a hope that the idea can succeed. The state’s support was only declarative: lots of words and almost no actions. Fortunately, at that time Transparency International and several other commercial platforms were ready to develop the initiative. 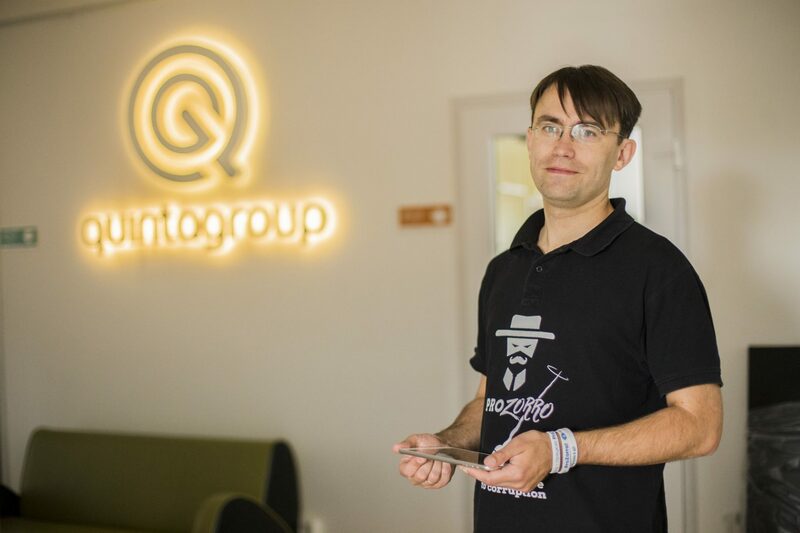 Then Maks Nefyodov persuaded one of the creators of the initiative and the “founding father” of Prozorro, Oleksandr Starodubtsev — to join the government. Starodubtsev hesitated because everyone knows that the power spoils people, and hoped that, perhaps, it would be possible to do everything from the outside. In the end, he decided to try, and that’s where the next stage begins — the work in governmental bodies. When Kyiv City State Administration started to fully use the system, it became clear that the state will follow. Since then, it has become much easier to communicate and interact with Western donors. Then Yuriy Biriukov wrote a Facebook post saying, look how online procurement is carried out on a server for $12. At that time, Amazon services were still used. (Smiles) The post has immediately attracted the attention of thousands of readers, and the auction went down. Then the server went down, but it was a great push and the necessary funds for our next steps were quickly found. …In September, the system was developing, and we were preparing it for more load. Everyone was talking about Prozorro. The public got involved in the process, followed by public institutions, and many enterprises of the Ministry of Infrastructure with a huge number of employees… Post offices, railways, dockyards, roads… Before Euromaidan, there was a huge split-up. There were a lot of employees, but it was difficult to find even one responsible person for one company. The new team of the Ministry of Infrastructure (Pyvovarskyi, Omelyan, Sobolev) decided to take two ways: by opening data and procurement. It was about open data that can be controlled. There was a clear understanding that if data were opened, some public “controller” would appear. With the help of Prozorro, you could see misuse, which subsequently could lead to a dismissal. Not everything was easy, but we managed to put things right in the most critical areas. Since the end of August 2015, we started to get first money for further development. Then we decided to gradually change the focus of our specialists, who at the time were involved in other “Western” projects in favor of the Ukrainian Prozorro. Politicians were publicly stating that the system should be launched all around Ukraine on January 1, 2016. We clutched our heads! (Laughs) They had already written a detailed draft law, but we were just implementing the basic functions. At the end of 2015, we made a base on which we could start the development of the system and introduce all additional procedures. We didn’t believe that the law would be adopted so quickly. But as a Christmas gift, the law was fully adopted on December 25, 2015. The deadline for implementation was set for April 1, 2016, and the start for all organizations on August 1, 2016. Therefore, the main work was ahead. Yes, the marathon continued. (Smiles) We had to work even faster. In five weeks, we added all the basic things to allow organizations integrate into the system. Since the middle of April, the system has started to work stably. In mid-2016, we agreed with the landlord on the expansion of our office. We lived and worked covered in dust. 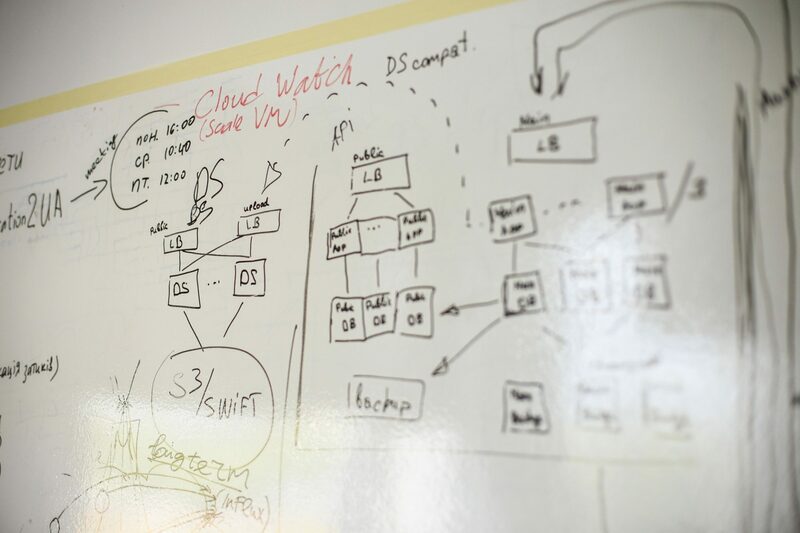 Then the team grew — up to 40 employees. The main growth was, obviously, in the direction of developing procurement systems. Now, we offer expertise to international organizations that need help in this area. Now Prozorro is a state system. There is also Prozorro.Sales — the same procurement system that allows you not only to look for things that are “the cheapest to buy” but also those that are “the most expensive to sell”. For example, the property of insolvent banks is sold there. The third system that we launched is the commercial system Rialto. It is based on the same software code as Prozorro. It can be used by any commercial company like in the Prozorro scheme. The fourth system, the pilot version of which was launched in January 2017, is MTender (Prozorro in Moldova). We continue to develop the system in Moldova as part of the Prozorro GoGlobal project. How many companies were involved in the development of the system? 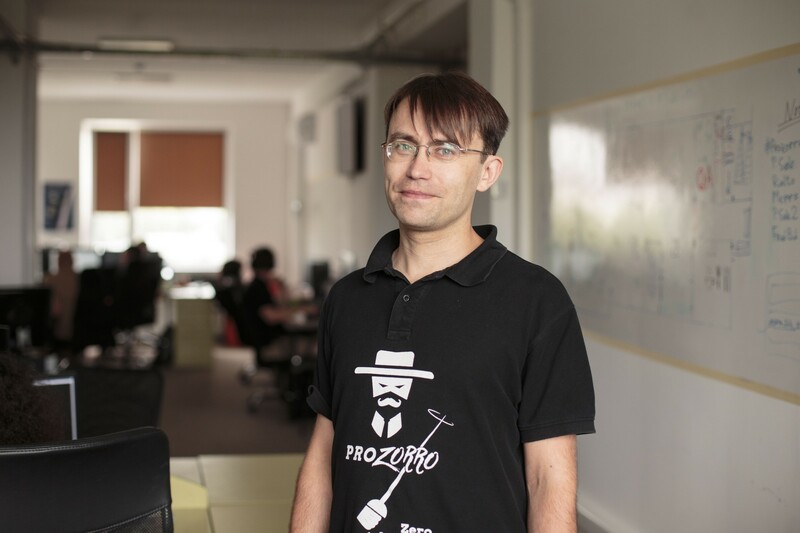 We developed the core of Prozorro, although there are plenty of additional things around the core. We didn’t deal, for example, with a public portal or adjacent systems — the system for the Antimonopoly Committee, the business intelligence module, etc. Also, almost every commercial platform operating in the system is involved in the development. In 2016, not to depend on a single provider, which was our company, another alternative company was added to the system’s development. We partly cooperate up until now. There are talks about a few more companies that will be able to continue the development on the basis of this. One of the companies that made the platform for Prozorro in Ukraine is our partner in Moldova. It is engaged in the public sector and sold software to Moldovan platforms for work with the core of the system. We acted as a company that adjusted the system for Moldovan needs, while another Ukrainian provider supplied software for Moldovan platforms. It is obvious, that Prozorro is your key project. What other projects is Quintagroup involved in? Since 2003, our company has been involved in the development of an open-source system called Plone. It is known for a few things. First of all, it is famous for its security: there has been very little evidence of tampering. Secondly, it has features that aren’t present in every commercial system. This is useful for universities with a clear hierarchical structure and large companies with well-defined structures and performers. For example, it is interesting that the US intelligence services CIA and FBI have chosen this system for their websites. In fact, we became the provider of Plone. How do the open-source systems work? There is a core of a program that belongs not to one company, but to a community of companies, organizations, and individuals. The profits can be made through service agreements that are concluded with the end user. End users can develop it themselves, but usually, they don’t have enough time nor expertise and employ more competent experts. We happen to have all the necessary competencies. We have been working on the hosting of this program. Among our former clients are National Instruments, BMC Software, and others. We have developed and maintained websites for the governments of Denmark and Norway and are still working on them. These are the main things, we used to specialize in. Now, however, we are mainly engaged in Python programming. Since 2014, we have been expanding our expertise and, for example, our developer team made the core of the “eTachki” system. It’s a cost-assessment system for used cars. As far as I understand, you are highly competent in “heavy” projects. Because making a website, and developing a complex system for public procurement management are two quite different things. However, there are only 50 employees working at the company now. Why only 50? Most companies use a very simple business model. There is an employee. One hour of his/her work here costs a certain amount, and abroad — a different one. Therefore, it is necessary to find someone who is interested in the service, “sell” people and reinvest the difference in cost in new projects. From a business standpoint, it is right and effective. But we don’t do such outsourcing. We have always offered consulting services to our clients. We have always made products on order. Even if it was a website, we did it ready to operate. We did everything, starting from business analytics to ongoing support. We have never been a typical outsourcing company. This is a bit different. We never had a person who would be responsible for sales abroad. This is our disadvantage. But our SEO has always worked. We were small, so we always had enough customers. We have our own, friendly and family atmosphere. Every time an employee leaves the company, it hurts. The only remedy here is to expand the team. Because when we hire a few new employees, it is easier to comprehend the loss of one. We have always worked in open-source. This is another type of income. You can be proud of your work and self-develop (rather than implement ideas of the client). That is why the main part of the developer team remained the same. Speaking about procurement systems, we do have a huge expertise here. However, you should also be able to sell this experience. Currently, we are working on new projects of the stakeholders we have previously worked with. Our “volunteer” rates still exist. Taking this into account, it is quite difficult to plan any office or team expansion. How common, in your opinion, is the phenomenon of volunteering among Ukrainian IT companies? A lot of IT companies and IT specialists give money to specific volunteer projects. This is airborne intelligence, hospital software, support for the wounded… Many of my acquaintances have their own “voluntary tax”, meaning they transfer a few percent of their monthly salary to volunteer projects. Not every IT employee goes to the front, but they also take an active part in the war and help the country. Let’s imagine Quintagroup in ten years. But every organization has some “big idea”. What is yours? Our company should become a renowned and recognized public procurement expert. Our goal is to run similar systems in dozens of countries. Maybe even create a larger system that would combine procurement systems from different countries. This is the GoGlobal strategy for the whole Prozorro. We really want this to happen and we are working on this. It is not easy due to operational processes, we involve a lot of people, but it won’t be possible without them. Cooperation between these participants makes it a symbiosis of ideas. Who is your competitor abroad? Who makes similar systems for France, for example? There is no similar system in France (Smiles) There are similar ones in Portugal, Italy, Eastern European countries. Poland doesn’t have it either. Europe’s plan for procurement digitalization is planned years ahead. And full digitalization is planned somewhere in 2023. They are not in a hurry. The problem of corruption doesn’t really exist in France. It’s first of all about more effective work and an ability to analyze information. In most countries, procurement processes are done on paper, in a “classic” way. Now in Europe, they digitalized the mechanism of payment by contract. When do you think the Ukrainian system will be used in Europe? You have to understand that Europeans are quite proud-hearted and will not take any Ukrainian system. (Smiles) Therefore, the Ukrainian system is unlikely to go to Europe right away. First of all, it will go to the developing countries. Currently, our system is unlikely to be used immediately in Europe. Ukraine has asked for a lot of concessions from the European Union due to short deadlines. But of the seven mechanisms that are required by European standards, we have realized only 4-5. One could forgive us this (and especially after Euromaidan). Moldova will have tougher requirements. And the next ones will be even tougher. Speaking about the world market of procurement systems, the South Korean system is a competitor. They sell it to other countries, but only the license costs one million dollars. There have been attempts to implement this system, but so far there are not many positive results. It can’t be copied so far. Given your experience, what would you advise young Ukrainian IT entrepreneurs? I want to tell a few things that Ukraine is still lacking, but they are finally gradually emerging. People are finally starting to understand that using open-source systems and open data you can build powerful social value solutions and very high-quality commercial products. Prozorro is a great case. The volumes and quality of data that are gathered there are unprecedented. We are pioneers in this business, but we can definitely build powerful solutions that will be applied in other countries too. I mean, it is possible to build a business here and work for the benefit of the state. Young people should understand this. 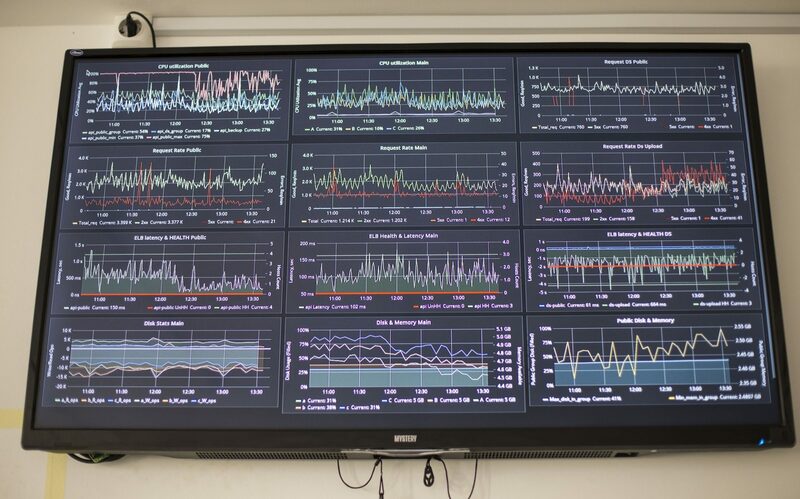 Openness and transparency of processes, access to public data, the use of “free software” creates a niche for intelligent tools of analysis, accounting, and control. How to minimize the number of system manipulations? Prozorro is doing its job. It shows everything that is happening. The state has a counterbalance system — there are always some actions and counteractions. Prozorro shows all the critical moments of participants, but it also has to correctly allow a counteraction. The state control is a counteraction. There are regulatory authorities appointed to respond to all potentially dangerous cases. We have to understand that regulatory authorities in Ukraine are often punitive bodies working for the benefit of those who influence them. Through the regulatory authorities, you can get an influence on anyone. They have to look at all critical cases and decide on which to respond. They don’t go for all of them but choose the most important ones because they simply won’t have enough time. Dozorro has ranking and risk management systems. Journalists have access to them, and they can see, for example, weekly or monthly ratings. The most potentially risky procurements are displayed there. The next step is up to journalists, they can “dig deeper” and contact prosecutors and police. Obviously, this can also be done by law enforcement establishments. 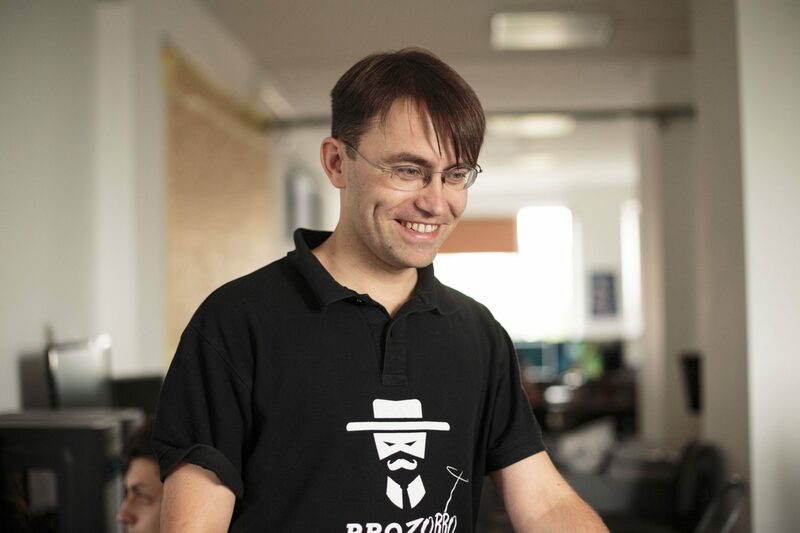 How long have you been working on Prozorro? It’s been three years. And for about a year more we will be engaged in the development of the system inclusively. Because the system continues to be transferred to the state enterprise for further support and development. Not so many experts agree to work in the public service. Recent events do not promote this. I don’t rule out an option that we will do some additional developments. It would be perfect if the system developments from other countries could be used in Ukraine too. One of the areas we are working on is the unification of the varieties of systems that currently exist. This is an area of Open Procurement. The core of the system should be common to all systems. Meaning, investments from other countries, other donors, or companies could be carried out through a single system. This is an interesting direction, and we have the expertise here. Unfortunately, after the system was handed over to the state, the pace of innovation in the project slowed down. The functionality of the system was intensively developing until April 1, 2016. 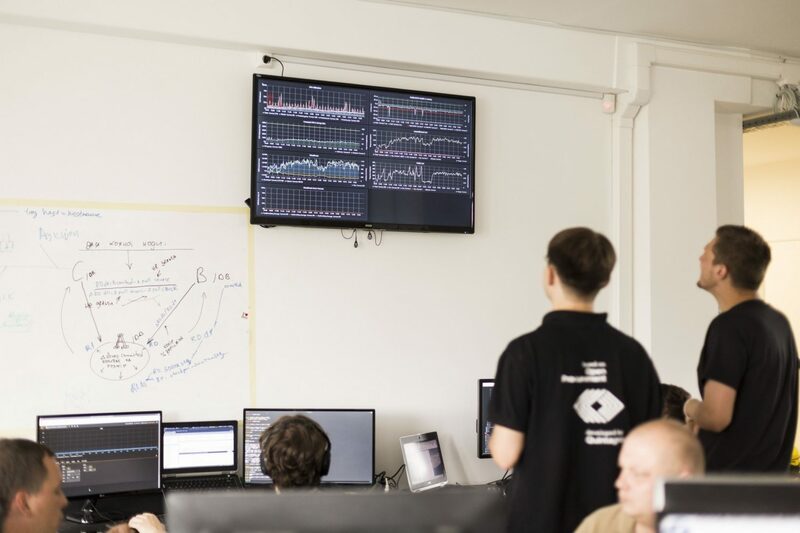 Although, the ecosystem of Prozorro is developing rapidly: analytical tools for open data are developed, and buyers and business representatives involved in the project are trained. One could make similar systems and sell them to American and European companies for more money. But you chose to work on Prozorro. How long are you ready to be involved in this case? And why? We are dealing with an open source OpenProcurement system. When it comes to sales, we are not inclined to sell any software licenses. We tend to sell our services of developing and adapting open source software in other countries. We will do this until it brings social value for Ukraine or other countries. Correction of injustices associated with decision making based on a corrupt component lies in the DNA of the system. That is, it refers not only to the public sphere but also to the private one. We are ready to develop the system in Ukraine as long as it makes sense and doesn’t bring any harm. We will definitely get out of the process if politicians decide to distort it. We are ready to focus on other areas. We have inquiries from other countries, but we are not working on them yet. We don’t invest our efforts because we are fully involved in the process and we lack experts to be developing new directions. We are not yet a full-cycle public procurement company. We can sell our solutions or services for their implementation. Then, we work on the reputation of the system, so that politicians have the opportunity to implement it in their own countries. …Ukraine can become one of those countries where there is a symbiosis of public and private open data. Mostly, commercial companies don’t publish their data because of their activities. And here is the possibility that the Rialto system has already published the same data about the procurement processes of large businesses, which has the ability to increase the GDP of the entire country. Potentially, we can have a much better level of forecasting all economic activity indicators of the state. The state is the biggest consumer and the biggest “corporation” in the country. But if you take the private sector, it is still bigger than the state. Using open data you can build new powerful tools.